If you are looking forward to organising an unforgettable and mind-boggling pre-wedding or post-wedding function, then The Sky High is an ideal place for you. Based in Delhi, it is a perfect venue for throwing a memorable bachelor or bachelorette party. They believe in creating an experience worth remembering for a lifetime. It serves as a sophisticated yet swanky place to have fun with your friends and relatives. 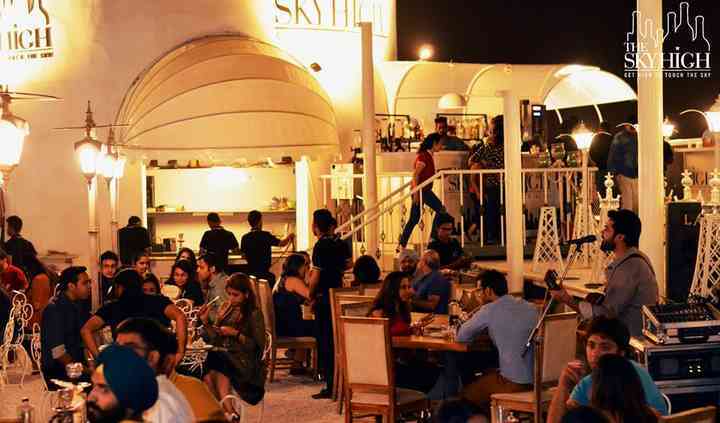 This place boasts a huge space which caters a 250-seater rooftop lounge with a 360-degree view of Delhi's exquisite view. 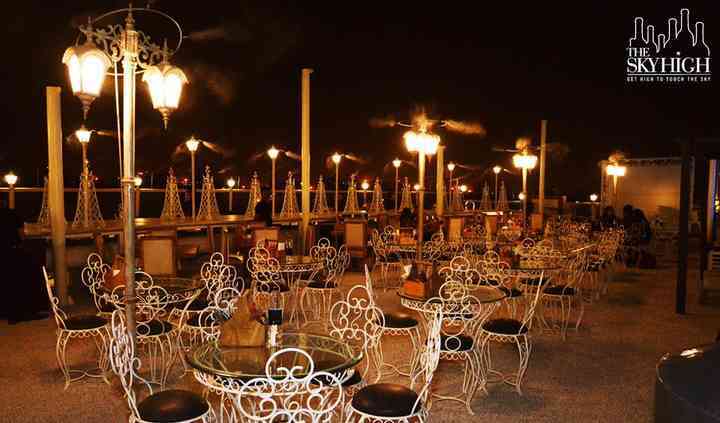 It has beautiful 50-seater interior consists of Eiffel tower shaped bar stools with an ambience of beautiful lighting and soothing music. 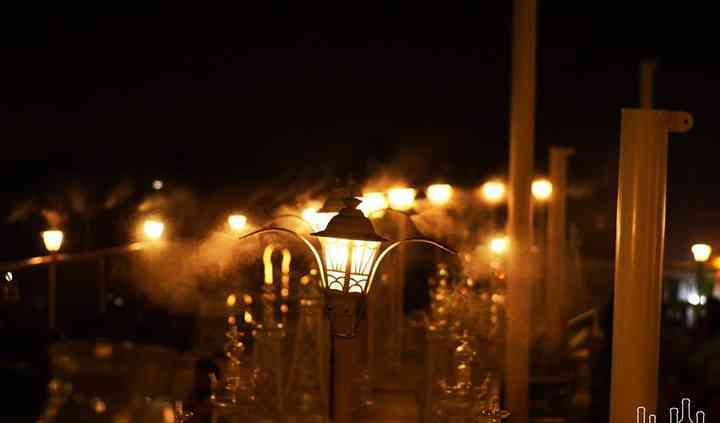 Their rooftop walkway has exclusive hand-drawn paintings with London-styled lamps which creates an extraordinary view. 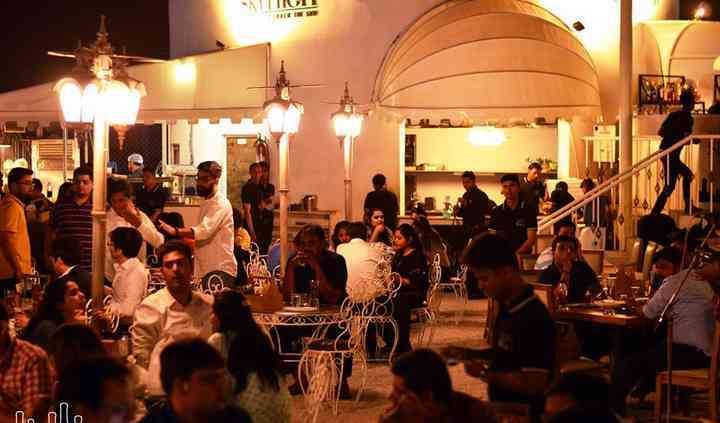 So if you are looking for a distinctive and a lively venue for your pre-wedding or post-wedding functions, then this surely is your go-to place.